Get help from a furry friend! 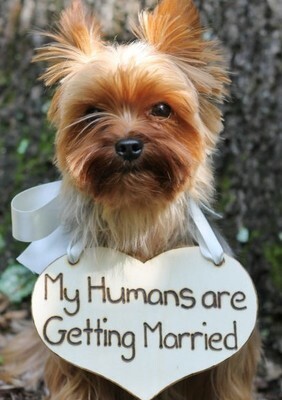 If you or your fiance has a pet, enlist them to hold a sign spreading the good news. This is the classic ring shot, but in a unique, new way. 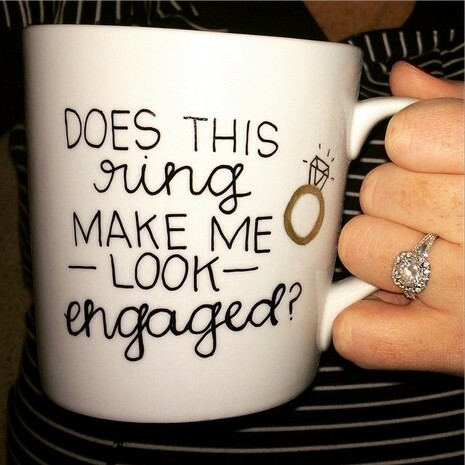 Make your own mug by writing on it with a Sharpie and baking it in the oven. Then take a strategically placed photo that you can post online. Set up a fun photo shoot. The morning after the proposal, find a friend to take a photo that gets the point across without having to show the ring or your man down on one knee. Incorporate letter blocks. If one of you owns a game of Scrabble, this photo is simple and always cute. Plus, you get to show off your ring in a way that viewers might not expect. Are you a Starbucks lover? 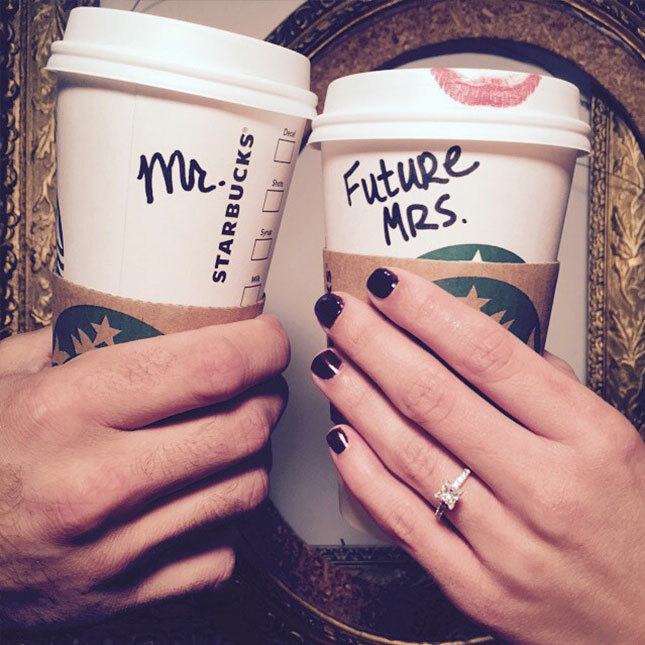 This photo is super cute, and the addition of a lipstick stain on the “Future Mrs.” cup is a perfect touch. 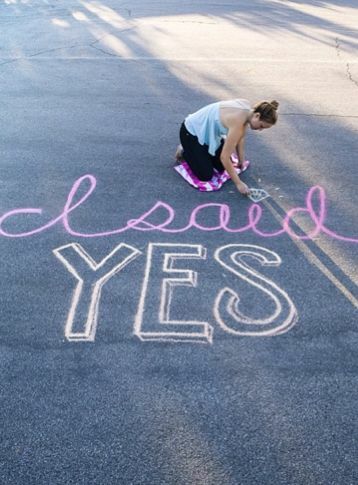 If you’re lucky enough to get engaged during good weather, head out for a box of sidewalk chalk and draw up a masterpiece to announce your new life event. 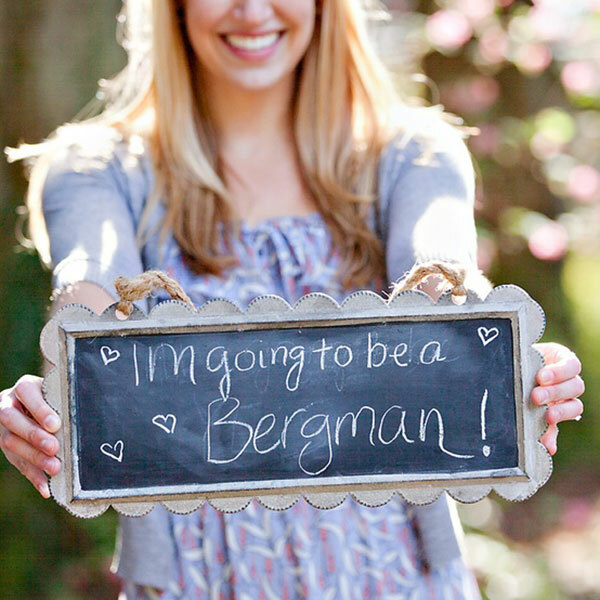 You can never go wrong with a chalkboard, and incorporating your last-name-to-be is a great way to announce your engagement without being too over the top. 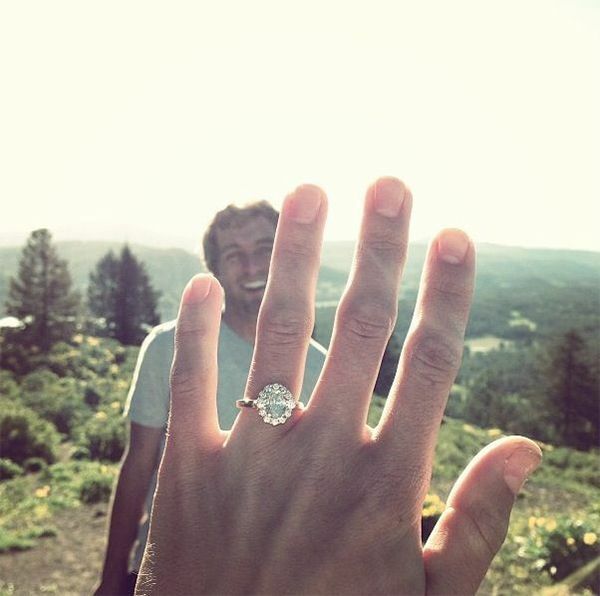 If you do want to do the classic ring picture, put a spin on it by including your fiance in the background of the photo. After all, he put in a lot of work to get that ring on your finger! This photo is cute, trendy, and does a great job of showing your engagement and both of you radiating happiness and love. 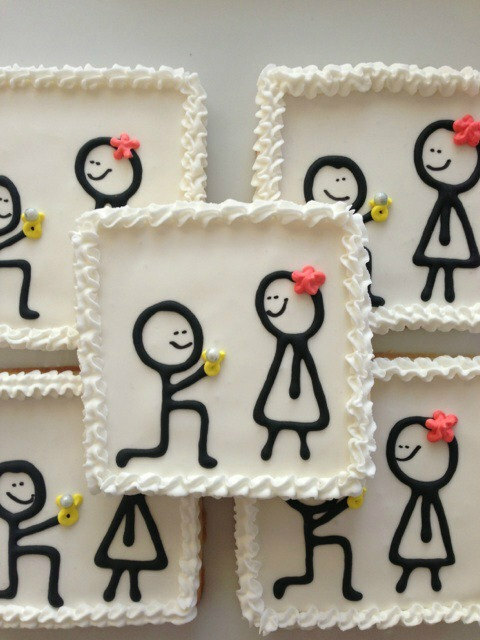 If you really want to make your engagement announcement into an event, try throwing a party and serving up cookies like these! No one will see it coming and you’ll be able to celebrate in real time with your family and friends. 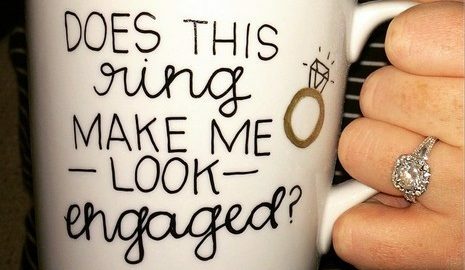 No matter how you announce your engagement, the important thing is that you enjoy this time with your husband-to-be and your families. It’s truly a turning point in life, and you have a lot of amazing things ahead! 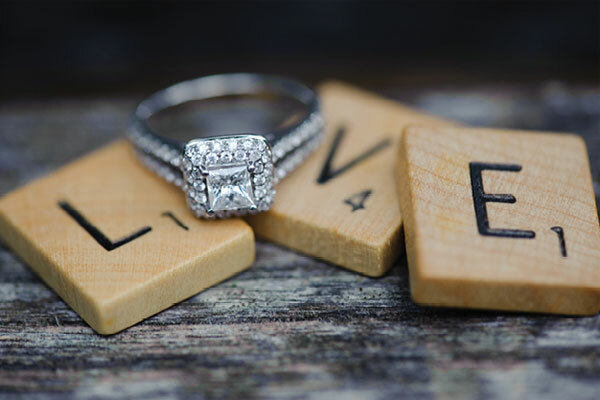 Don’t forget though – after you’re engaged, the next step is wedding planning. 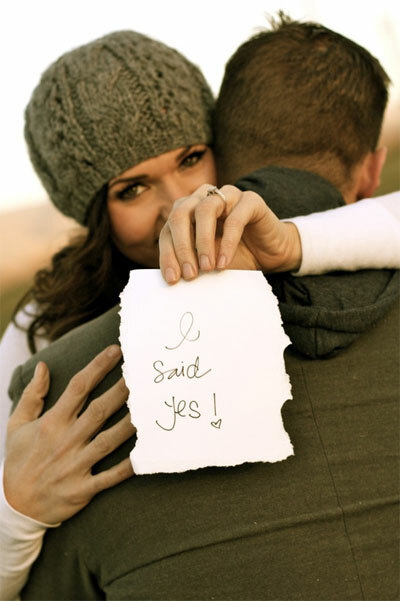 Download a free wedding checklist from Temple Square Hospitality to help you get started.